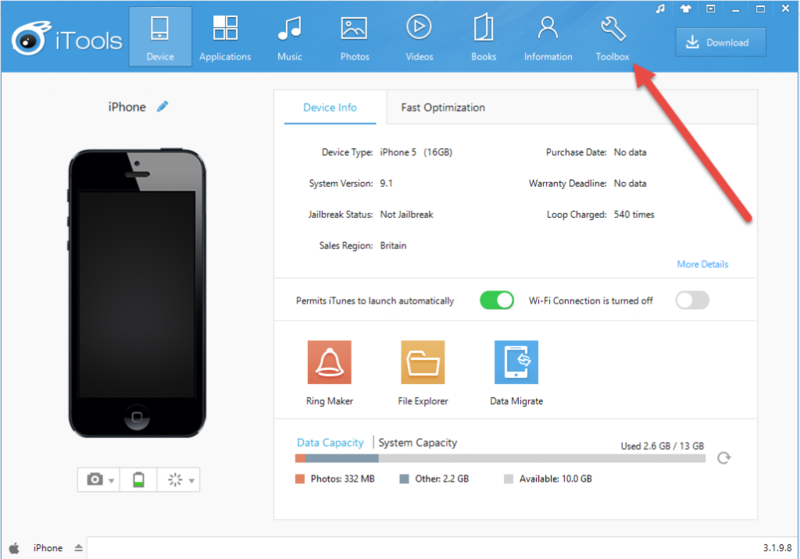 iTools – is a tool for managing all iOS devices, which is very similar to iTunes, but it adds some more and interesting features. iTools is available and on OS X and on Windows. Installation is performed on a standard scenario, as any other application. The majority of the independent software testing companies use this tool for performing various testing types, essential for a good testing result. 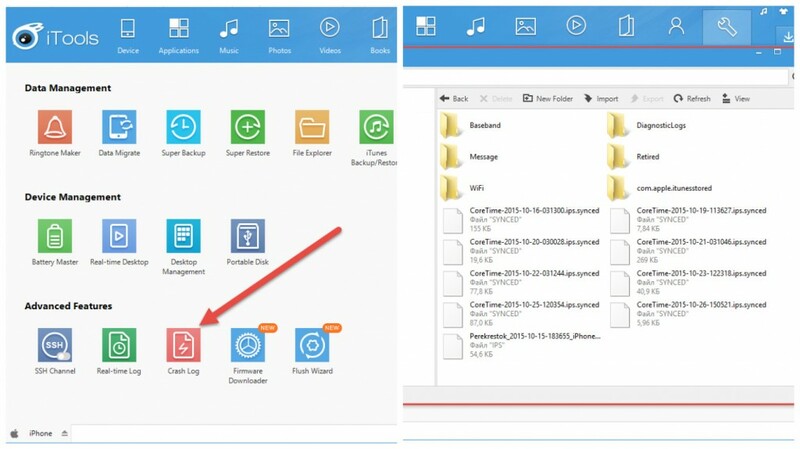 iTools has few tab sets for a work with devices: general information, applications, photos, music, video, ringtones, books and access to the file system. According to quality control consultants, work with them is performed in the simplest way: drag the desired file in the appropriate tab, or send for a context menu and choose the only option – import. By this way, a necessary content falls on the device. Connect device to a computer. The program will identify the connected device and then one can start working with it. Go to the tab “Toolbox”. In order to view and save logs in a real time, one should run “Real Time Log” which is found under “Advanced Features”. For viewing of crash logs, one needs to push the button “Crash Log”, which will open an explorer that will contain directories with crash logs, from where logs can be moved to a more convenient for storing place. As we see, the process of removing the log files is quite simple and straightforward. A simple and intuitive iTools interface allows doing it very quickly, without putting much effort. The main benefit, comparing to other tools, is the possibility to view and record log files in a real time. iTools is a widely specialized program which meets the requirements and needs of the users on various operation systems. The only drawback is that one should use other programs to view crash logs, because iTools doesn’t provide this option.